Shy and fond of seclusion, the Gnawnian Fog mouse surrounds itself with a protective shield of cloud to avoid persecution. Fog mice usually maintain a healthy distance from one another, but, on occasion, they will band together and create thick, grey storm clouds. These storms, called 'Furricanes' by the locals, possess the ability to flatten whole towns. As a result, hunters ruthlessly pursue Fog mice whenever they start to grow too numerous. The Fog Mouse is attracted only to SUPER|brie+. No Charms are required to attract the Fog Mouse. Hunters can encounter the Fog Mouse in the Harbour and Mountain locations. The Fog Mouse is not known to drop any loot. Attraction info and special event loot drops for the Fog Mouse can be found at the individual event location pages. The Fog Mouse drops the Fog Egg during the annual Spring Egg Hunt. A pesky Fog mouse made your profile data a bit... foggy. We were unable to load your profile data. Please wait a few seconds before reloading the page. 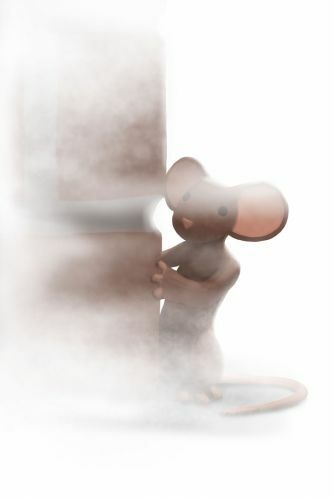 30 June 2010: The Fog Mouse was released as part of the Windmill update. 18 April 2011: The Fog Mouse began dropping the Wavy Purple Egg as loot in the Harbour as part of the Spring Egg Hunt 2011 event. 4 April 2012: The Fog Mouse began dropping a bonus Fog Egg as loot during the Spring Egg Hunt 2012 event. 25 June 2013: The Fog Mouse gained a vulnerability to Law power type traps with the release of Varmint Valley. 25 March 2014: The Fog Mouse gained a vulnerability to Rift power type traps with the introduction of the Rift Plane. 17 October 2018: The Fog Mouse changed mouse groups from Indigenous Mice to Mountain Mice. This page was last edited on 6 December 2018, at 20:36.